After releasing songs for Dante and Nero, V, the final protagonist of Devil May Cry 5, finally gets his own theme song. Entitled “Crimson Cloud,” it is performed by Jeff Rona and Rachel Fannan. “Crimson Cloud” is the third theme song released for Devil May Cry 5. Dante’s is known as “Subhuman,” while Nero’s is “Devil Trigger.” The two songs have had wildly different receptions. 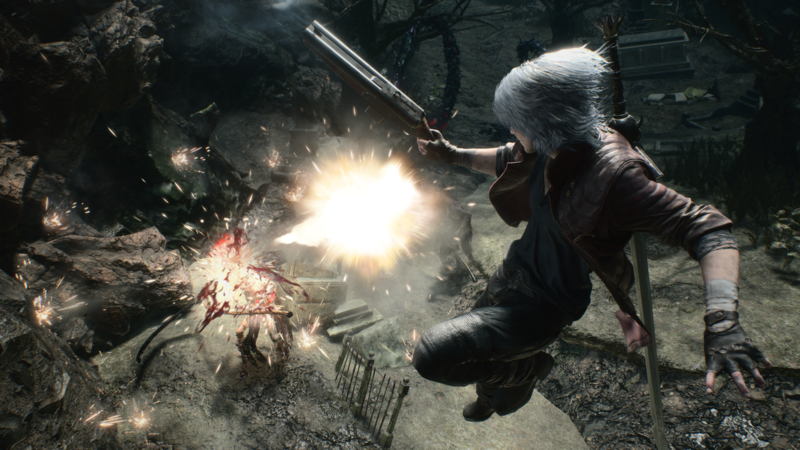 Devil May Cry fans were generally enthusiastic about “Devil Trigger,” which was recently performed at The Game Awards 2018. “Subhuman,” on the other hand, has seen nothing but controversy following its debut. V is a brand-new character in the Devil May Cry universe and the third playable character in Devil May Cry 5. Not a ton is known about him, but he looks to be important to the world of Devil May Cry. We already know this game takes place after Devil May Cry 2, so we shall see if he has any impact on the series going forward. In addition, will V show up in the recently announced Devil May Cry animated series? As a recent addition to the franchise, he may not, but never doubt the power of cross-promotion! Devil May Cry 5 will be released on March 8, 2019 for the PlayStation 4, Xbox One, and PC.